how do i link my EA account to sims 3 community account? Re: how do i link my EA account to sims 3 community account? Thank you @_anaerB. This was helpful. How did you link it ?? Currently having trouble doing so! @kidowash420 Do you already have an account in Origin, or maybe the sims 3 store? You need to create one first in order to register your base game and packs in either place; once you've input the codes, the other site will sync the information. If the store isn't working for you, try clearing your browser cache. When using the store, be sure to select "register a game" rather than "redeem a code." If you're trying to do something else entirely, please describe in more specifically. I've played this loop for the last three days, and it just keeps going around in circles. Have an Origin/EA account, but Sims 3 store, and Sims 3 site just keep looping to sign in, you already have an account, sign in. 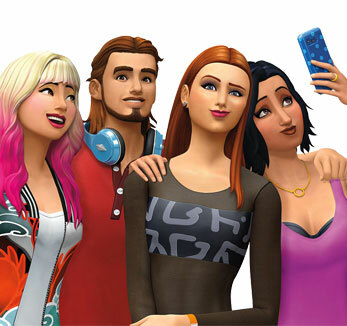 I'm so sick of trying that I will not purchase the Sims 4 unless its at a great price on console. I've tried Chrome, IE, and Microsoft Edge. Cleared cache, cookies, and history. Cleared the hard drive of temp files too. In game won't log in, and menus are broken. Giving up. Used to love EA, but not so much anymore. @HeartAttackJac1 The store was under maintenance last week, and it seems like things aren't quite back to normal yet. (You're not the only one frustrated around here.) Before you give up, though, try using Firefox. People have had better luck with that browser lately. If this doesn't help, I'll forward your information to someone from EA. Any other information you can provide—screenshots of error messages, that kind of thing—would be helpful.